Our 'ohana is led by Joanie and Charles Brotman. 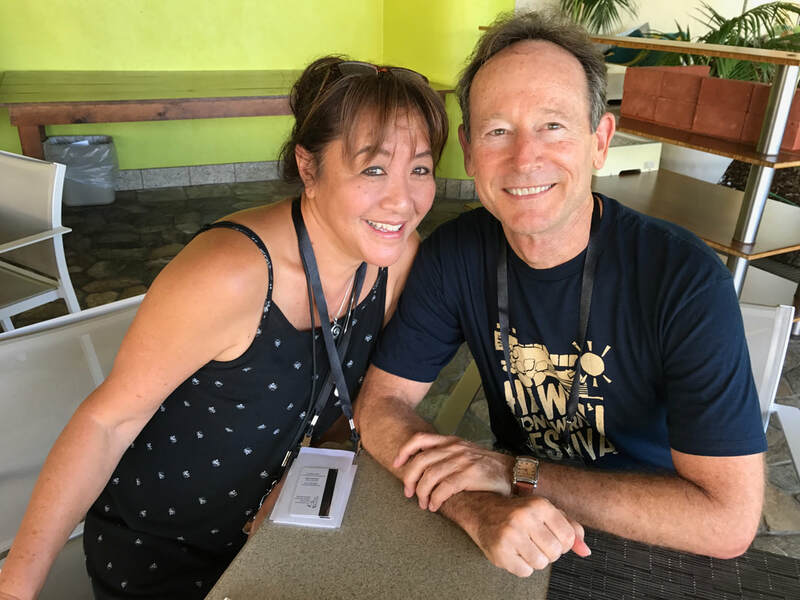 Charles is currently President of KMF, and his wife Joanie is his not-so-secret-weapon who makes all the magic happen at the Hawai'i Songwriting Festival. Our organizers and leaders are a group of fun, lighthearted local folks who love music and want to help our songwriters and artists succeed in the music industry - whatever their definition of success may be. We are primarily a family operated organization and our events are run entirely by volunteers; none of our organizers, board members, advisory council, visiting staff, or performers are paid for their contributions. We dedicate our time because we are passionate about giving songwriters access to the resources and connections they need in order to improve their craft and develop a sustainable career doing what they love.